In May, San Francisco introduced the “Hook-up Truck,” providing intimate space for couples on the go. Now, the city is welcoming the “Lava Mae,” a public shower on a bus, aimed at the city’s large homeless population. San Francisco has been fighting a losing battle with homelessness for decades. City officials concede that they have made little progress over the years despite massive spending, amounting to $34 per homeless person per day. 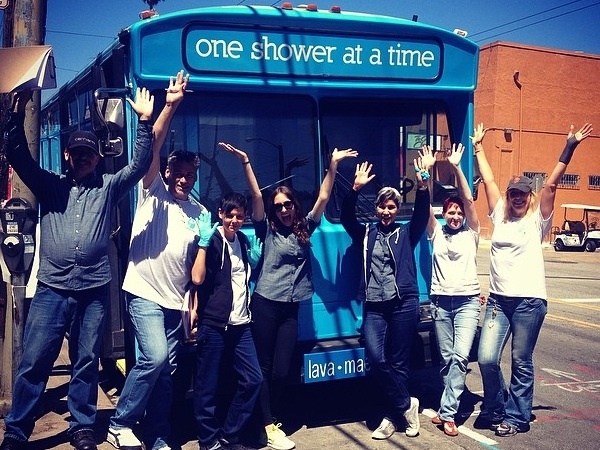 The founders of Lava Mae, which launched late last week, aim to provide direct relief–and dignity–to the homeless, providing showers installed inside converted municipal buses that will travel around the city. The project, funded by the left-wing Tides Foundation, launched June 28 and features innovative plumbing and design that taps into city fire hydrants and sophisticated internal partitions to preserve users’ privacy. “When you’re homeless, and you’re living on the streets, and you’re filthy, and you’re trying to improve your circumstances…you get disconnected from your sense of humanity. So a shower, just in and of itself, is amazing,”founder Doniece Sandoval told the Associated Press.